Gatesway is a scam binary options software that uses Bill Gates image illegally. The underlying software they are using, has been used by many scammers operating under various aliases. You can learn more about how the scam works by reading this article. The way the Gatesway scam works is really very simple and easy, just take a minute and think. 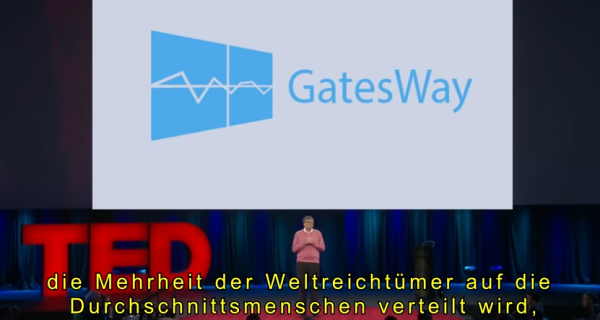 You probably noticed while watching the fake TED video of Bill Gates, what they write in bold on their website. In their fake testimonial section, they write about one lady “GatesWay delivered $26,000 plus in my first 5 days”. The reality is that no one has made money using this software, except for the scam trading company you gave it too. If you want to see the best licensed Forex broker, look here. The Gatesway automated trading robot is not a new revolutionary software. If you look at our review of Quantum Code, you will see that it is the exact same product, just a different color. This software has been published under 50 different names, and the only difference are the actors in the videos. Take a look at the screenshot below of the dashboard for the robot. Serious investors will quickly notice that there is only one button to press, and you have no ability to control risk, or make a profit. To see what the real automated trading robots look like, look here. The official website for the scam was at: Gatesways.com, but to login to the software you had to go to: https://gateswaysensystem.com. The email address they send from is: support@gateswaysensystem.com. 99% of binary option brokers are unlicensed scam operations, based in Bulgaria and Ukraine. 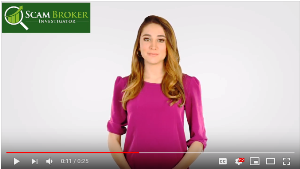 You should only trade binary options at a licensed and regulated broker. 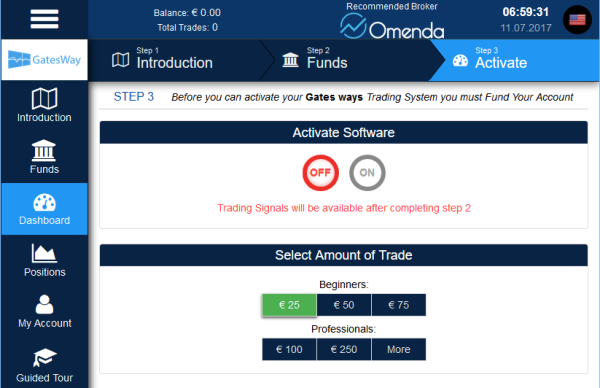 When we tested out the Gatesway scam, they connected us with a broker called Omenda. Look here to see the good brokers which are licensed & legal. You can share with other people reading this review of Gatesway which broker scammed you, and stole your money. If you want to know how to get your money back, you can read the complaints page.